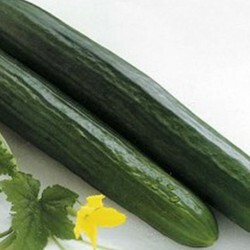 Cucumber is a very popular vegetable and this variety produces crisp, delicious fruits which are bitter free. Grows well outside in the garden, allotment. This is the variety which is called 'slicer' in America. This outdoor type is tolerant of summer heat, and resistant to mildew. Dark green, medium sized fruits. 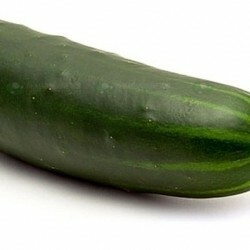 As the name suggest this cucumber is easy to digest. 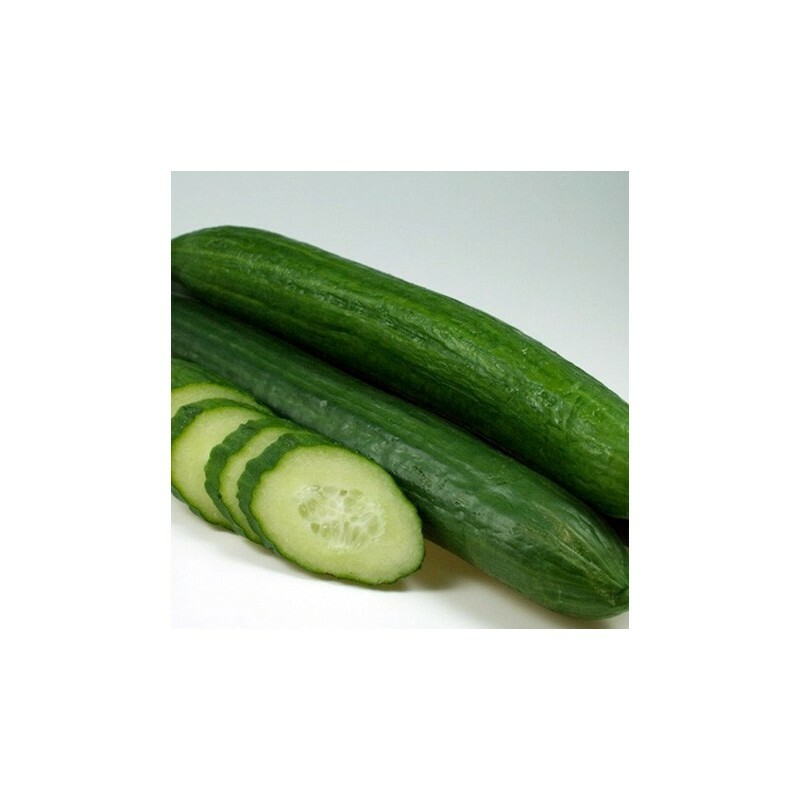 Cucumbers prefer a flat, well-drained sunny location to grow in. The vines are heavy feeders and require constant soil moisture, so planting them near a water source makes it easier for you. When growing in containers, place containers in a location that will receive at least 8 hours a day of direct sunlight. The vines will fare better when provides a little shade from the hot afternoon sun. Add several inches of compost or well-rotted cow manure to the garden soil and till in to the depth of 6 inches, then rake the garden soil level. 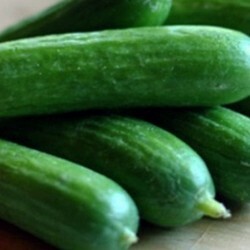 Cucumbers need to be planted in small hills, whether you're starting with seeds or cucumber plants. If you plan to allow the cucumber vines to run freely on the garden soil, form your hills 6 feet apart. Form each soil hill about 12 inches in diameter and 6 inches high, working a little compost or cow manure in each hill in addition to the compost or manure worked into the garden soil to gro the best cucumber plants. Place 2 cucumber seeds or 1 plant into the centre of each hill, you can do this outside from late June. If you plan to use trellises and train vines to grow vertically, you can plant them much closer together. Space planting hills about 2 feet apart when using trellises for vertical growing vines. 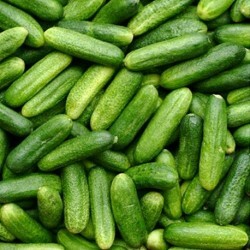 The best time is to sow your cucumber seeds is from mid-April inside at a temperature of 25 Celsius at least. The best place is inside the house in a heated propagator. Cucumbers get leggy even quicker than tomatoes so make sure that there is plenty of direct light available from the point when the seedlings appear.